People, Politics and the Planet – Any Questions? Home People, Politics and the Planet – Any Questions? We held the first post-referendum public debate on the future of environmental policy in the UK following the vote to leave the European Union, chaired by Jonathan Dimbleby. A video of the conference can be found here. The UK has voted to leave the European Union, launching the country into a period of uncertainty as a new relationship with Europe and the world is negotiated. The EU frameworks that have underpinned much of our environmental policy and legislation – from agriculture to protected areas – are no longer assured. Yet the challenges of climate change and biodiversity loss will lose none of their urgency. What will environmental policy in the UK look like outside of the European Union? What threats and opportunities does ‘Brexit’ pose for the environment? How will we tackle international challenges under a new political agreement? 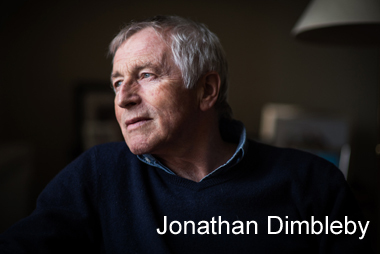 Questions were put to our panel of leading politicians, chaired by leading broadcaster Jonathan Dimbleby. Atkins CIWEM Environmental Photographer of the Year exhibition. Join the conversation on Twitter #PPPAnyQs, or watch the videos from last year’s event. watch the videos from last year’s event.